But Gander was really in its glory more than half a century ago, in the heady, epicurean days just after the war, when air travel was new and still dangerous and the airport was the main re-feuling station for Transatlantic flights. Everyone came to Gander then: movie stars and world leaders and refugees. Even Fidel Castro! This is the setting of Jamie Fitzpatrick's second novel The End of Music. It's 1952 and Joyce, 18 and motherless, a nice Catholic girl from a tiny outport community that has neither electricity nor running water, runs off to godless Gander. She spends her days working at the airport and her nights signing lead in a band. Gander is in its salad days, smoky and drunk on its own youthful hedonism. The median age hovers at 25 and every night there's another party. There's a provisionary air about the town where the only permanent structure is the bustling airport and Joyce and her friends all live in dormitories, shivering under the covers and sharing cigarettes between the single beds. But there's nothing nostalgic here. Gander in the 50s (what in the hands of a less expert writer might dissolve into a overwrought ode to the "good old days") is depicted with unflinching honesty. There is fun and games, yes. But there is also rampant misogyny, domestic violence, ugly double standards, and plenty of "Jovial Newfoundlanders" with unwanted wandering hands. We experience all of this through Joyce who seems to jump off the page and speak for herself. A perfectly realized character, she's both self possessed and inexperienced, at once strong and vulnerable. Life in 1950s Gander is fast and ever changing and the cast is vast, forming a witty Greek chorus. And like true Newfoundlanders, they never shut up. Fortunately, Jamie has an ear for dialogue, one of very few writers who can carry off long conversational passages without a single misstep. The novel intercuts Joyce's story - set mainly in mid-century while she is young and single - with that of her son in present day Ontario. Herb Carter is middle aged and calcifying, doing his best to dodge his domestic and familial obligations. In addition to his mother, whose health is failing several provinces away, he has an ex-wife who is dying, a child with a heart condition, and a wife whose patience, you get the feeling, might just be wearing thin. Lest you be tempted to feel bad for poor Carter, Jamie has given him nuance. Carter is not quite the good guy he likes to think he is. Memory and thwarted ambition are the key themes here, along with a midlife crisis that makes him yearn for the lost opportunities of youth and in particular an indie rock band he formed in his 20s. Full disclosure: Jamie is in my writing group and I've been reading this book, in its various incarnations, for the past several years. I knew it was going to be good but reading the final version - and this really is a feat - I was still surprised and delighted, both by the characters and plot twists. 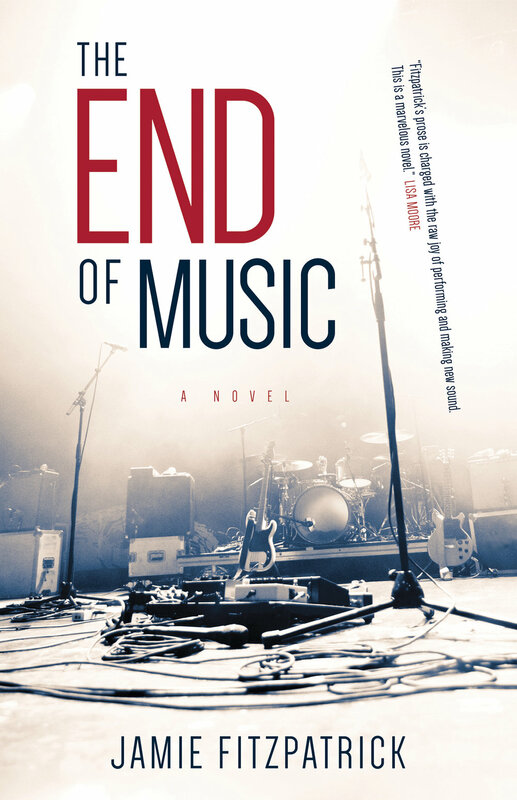 The End of Music is a novel that contains multitudes - dozens and dozens of characters, all of whom you sense have complicated back stories, and intersecting plots that Jamie has slyly intertwined. Keep your eye on everyone and everything, is my advice. Because as much as I enjoyed reading each page, the masterstroke comes right at the end, like a punch in the gut you didn't expect but then realize, in hindsight, was coming all along. It's the perfect end to the perfect book.